8AsiansNews is just what it sounds like: news for the 8Asians community. 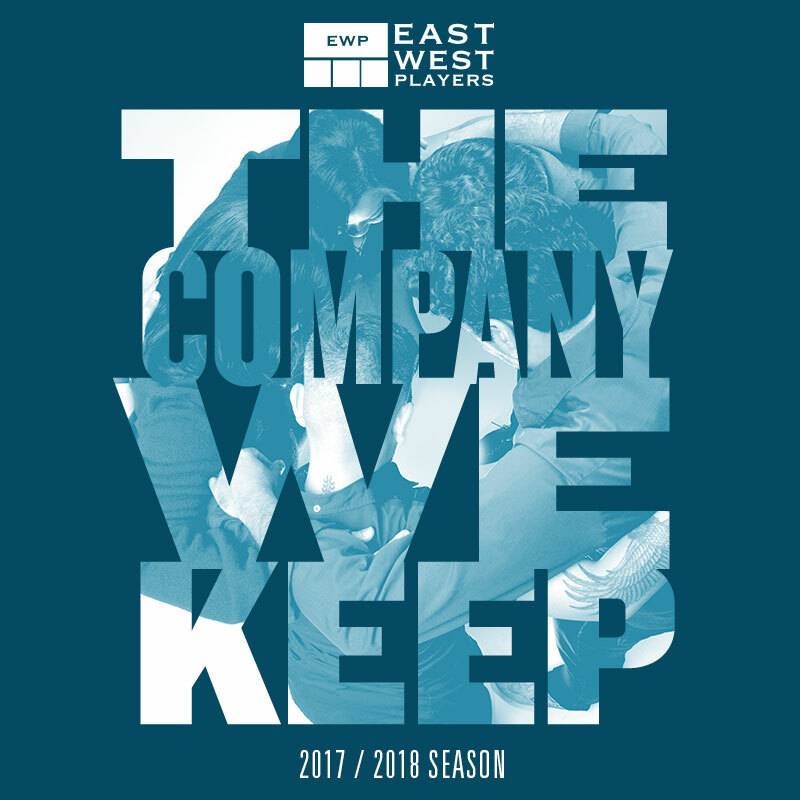 East West Players (EWP), the nation’s longest-running professional theatre of color in the country and the largest producing organization of Asian American artistic work, is pleased to announce its 52nd Anniversary Season, The Company We Keep, which takes place from Fall 2017 through Summer 2018 and features co-productions with Rogue Artists Ensemble, The Robey Theatre Company, Japanese American Cultural & Community Center (JACCC), and the Los Angeles LGBT Center, including two world premieres, an acclaimed revival, and the Los Angeles premiere of an award-winning Broadway musical. “For our 52nd Anniversary Season, I thought a lot about the company we keep—the vital artistic and community partnerships that have supported and nurtured East West Players over the past 52 years. To that end, we are offering something no other theater company is doing: an entire season of co-productions. These extraordinary works reflect on and refract a wide range of Asian Pacific Islander experiences as seen through the lens of gender, race, and sexuality. We don’t shrink or hide. Instead, we stand taller, unafraid, and, most importantly, together. Welcome to The Company We Keep,” says EWP Artistic Director Snehal Desai. EWP’s 52nd season commences with the world premiere of Kaidan Project: Walls Grow Thin, a special event presented in association with Rogue Artists Ensemble—a collective of multi-disciplinary artists that creates Hyper-theater, an innovative hybrid of theater traditions, puppetry, mask work, dance, music, and modern technology—with support from Venturous Theatre Fund of The Tides Foundation, the Jim Henson Foundation, the Japan Foundation, and the City of Los Angeles Department of Cultural Affairs. Written by Lisa Dring, Rosie Narasaki, and Chelsea Sutton with Rogue Artists Ensemble, and directed by Rogue’s Artistic Director Sean T. Cawelti, Kaidan Project: Walls Grow Thin is a multi-sensory, site-specific experience refracting ancient Japanese ghost stories through a modern, multi-cultural lens, revealing the noise of our histories and the silences that haunt us. Performances run from October 5 – November 5, 2017 and will be staged at a secret Mid-City, six-story warehouse built in 1927, to be revealed after tickets have been purchased. More information at www.rogueartists.org. EWP and The Robey Theatre Company—which explores, develops, and produces provocative plays written about the Global Black Experience—present the revival of Yohen, written by Philip Kan Gotanda, directed by The Robey’s Producing Artistic Director Ben Guillory, and starring Danny Glover, with support from the S. Mark Taper Foundation. In Japanese pottery, the term “yohen” refers to unpredictable changes that take place in the kiln. James and Sumi Washington are an interracial couple struggling to maintain their 37-year marriage after James retires from the US Army. The dramatic change in routine prompts questions about life, love, and aging, as the couple attempts to repair what’s broken and decide what is worth saving. Performances run from October 26 – November 19, 2017 at the David Henry Hwang Theater at the Union Center for the Arts at 120 Judge John Aiso Street, Los Angeles, CA 90012. More information at www.eastwestplayers.org and www.robeytheatrecompany.com. EWP and Japanese American Cultural & Community Center (JACCC)—one of the largest ethnic arts and cultural centers of its kind in the United States and a hub for Japanese and Japanese American arts and culture in Southern California—and by special arrangement with Sing Out, Louise! Productions and ATA, present the Los Angeles premiere of the Broadway musical Allegiance. With music and lyrics by Jay Kuo and a book by Marc Acito, Kuo, and Lorenzo Thione, Allegiance is inspired by the true childhood experiences of TV/film actor and social media icon George Takei (Mr. Sulu on “Star Trek”). Allegiance tells the story of the Kimura family, whose lives are upended when they and 120,000 other Japanese-Americans are forced to leave their homes following the events of Pearl Harbor. An uplifting testament to the power of the human spirit, Allegiance follows the Kimuras as they fight between duty and defiance, custom and change, family bonds and forbidden loves. Performances run from February 21 – April 1, 2018 at JACCC’s Aratani Theatre at 244 South San Pedro Street, Los Angeles, CA 90012. More information at www.eastwestplayers.org and JACCC.org. EWP’s 52nd season closes with the world premiere of As We Babble On, presented in partnership with the Los Angeles LGBT Center and with support from the S. Mark Taper Foundation. Written by Nathan Ramos, winner of EWP’s “2042: See Change” playwriting contest, As We Babble On explores the pursuit of success, its costs, and conquering the Swedish BIGBOX. Benji, a first-generation Asian American, struggles in New York City to find his voice as his writing career stalls. As the professional paths of his best friend Sheila and his half-sister Laura begin to blossom, he begins to unravel. As We Babble On explores what lengths we are willing to go to realize our dreams, whether morality is tied to upward mobility, and whether boxed wine and soda is an appropriate sangria recipe after the age of 24. Performances run from May 31 – June 24, 2018 at the David Henry Hwang Theater at the Union Center for the Arts at 120 Judge John Aiso Street, Los Angeles, CA 90012. More information at www.eastwestplayers.org and www.lalgbtcenter.org. Single ticket sales will be announced at a later date. Season subscription options will be forthcoming in June 2017. For additional information about the 52nd season, please visit www.eastwestplayers.org or call (213) 625-7000. Dates, details, and ticket prices are subject to change. This May, for Asian Pacific American Heritage Month (APAHM), WORLD Channel’s award-winning series, AMERICA REFRAMED partners with the Center for Asian American Media (CAAM), and Pacific Islanders in Communication (PIC) to celebrate the voices of Asian Pacific Americans with a selection of original and compelling documentary films that spotlight the identity and diverse stories of this community. On the Wednesday immediately following the TV premiere, films will be available online for FREE viewing across the U.S. via www.americareframed.org for 3 months. For 29-year-old filmmaker Matthew Hashiguchi, growing up half-Japanese American in an Irish-Catholic neighborhood in Cleveland, Ohio, was a difficult experience. His inability to blend in with the predominantly White population of his surroundings translated into his own personal struggles with race, and in America ReFramed: Good Luck Soup audiences join Matthew on a journey to discover how Japanese heritage influenced the lives of his Japanese American family members; before, during and after World War II. When he was six-years-old, Dinesh Sabu’s parents died. Raised by his siblings, he had little idea who his parents were or where he came from. Now as an adult with a burning curiosity, Dinesh sets out on a journey across the United States and India to piece together their story. Uncovering a silenced family history of mental illness, Dinesh confronts the legacy of having a schizophrenic mother who died by suicide, the reality of growing up an orphaned immigrant, and the trauma of these events in America ReFramed: Unbroken Glass. Arrested at 16 and tried as an adult for kidnapping and robbery, Eddy Zheng served over 20 years in California prisons and jails. America ReFramed: Breathin’ – The Eddy Zheng Story paints an intimate portrait of Eddy-the prisoner, the immigrant, the son, the activist-on his journey to freedom, rehabilitation and redemption. Audiences are invited to learn more about this community through the #MyAPALife social conversation on WORLD Channel’s Facebook and Twitter, in partnership with American Documentary, PBS, Center for Asian American Media (CAAM), and Pacific Islanders in Communications (PIC). WORLD and American Documentary will be hosting a live digital conversation between Asian Pacific American filmmakers from America ReFramed in May. AMERICA REFRAMED curates a diverse selection of films highlighting innovative and artistic approaches to storytelling from emerging and veteran filmmakers alike. Viewers will be immersed in personal stories from the streets of towns big and small to the exurbs and country roads that span the spectrum of American life. The documentaries invite audiences to reflect on topics as varied as culture, healthcare, politics, gun violence, religion and more. An award-winning documentary series, AMERICA REFRAMED is the recipient of a Christopher, a GRACIE, and several Telly and Cine Golden Eagle Awards, as well as nominations for an EMMY, Independent Documentary Association, and Imagen Award. Mickey Mouse, Minnie Mouse, Mulan and Mushu will join guests for a bigger-than-ever Lunar New Year celebration at Disney California Adventure Park, from Friday, Jan. 20, through Sunday, Feb. 5, 2017. This joyous celebration for the Year of the Rooster expands to 17 days, with colorful live performances, fun-filled activities, beautiful decor, Disney characters in their Lunar New Year costumes, and special food and merchandise offerings. Mickey Mouse, Minnie Mouse, Chip ‘n Dale, Mulan and Mushu, dressed in their Lunar New Year attire, will welcome guests to a beautiful photo location with a Lunar New Year-themed setting and Happy Lunar New Year banners in English, Chinese, Korean and Vietnamese. Live performances by an array of authentic performers, including Chinese concert musician Jie Ma performing on the traditional pipa string instrument, and Vietnamese concert guitarist, composer and teacher Dat Nguyen. Fresh Off the Boat Season 3 Premiere. Tuesday, October 11, 2016. 9:00 on ABC. The Huang family returns to Tuesday nights beginning October 11 at 9:00 with Fresh Off the Boat’s season 3 premiere, “Coming From America.” The show picks up where season 2 left off (in “Bring the Pain“), with Louis feuding with his brother Gene, and Grandma following Gene back to Taiwan to make sure he’s okay. Louis flies the entire family to Taiwan in an effort to make things right with Gene (Ken Jeong). Upon meeting Gene’s beautiful fiancé, Margaret, and seeing the wonderful life he has built for himself, Louis questions whether his life in Orlando is just as great as it could be in Taiwan. Meanwhile, Jessica takes Eddie, Emery, and Evan to her favorite childhood locales, including Dihua Street and Shilin Night Market. CBSN anchor and CBS News correspondent Elaine Quijano has been named the moderator of the 2016 vice presidential debate, the nonpartisan Commission on Presidential Debates announced today. Quijano will be the first anchor of a digital network to moderate a national debate in a general election campaign. The debate will be held Tuesday, October 4, at Longwood University in Farmville, Virginia. It will be the only debate between the two vice presidential nominees, Democratic Senator Tim Kaine and Republican Governor Mike Pence. The 90-minute debate will be presented live, without commercial interruption, at 9:00 p.m. ET on the CBS Television Network and CBSN. “It’s an honor to be chosen to help bring the issues of this critical election to the public,” said Quijano. The vice presidential debate will cover a broad range of topics to help voters learn more about the candidates and their positions on the issues. The commission organizing the debates said the time will be divided into nine segments with about 10 minutes of discussion on each topic, and noted that the moderator alone will determine the questions to be asked. In addition to the vice presidential debate, there are three presidential debates​​​ scheduled this fall between Donald Trump​ and Hillary Clinton​. The first, to be held September 26 at Hofstra University in Hempstead, New York, will be moderated by NBC News’ Lester Holt. The second, on October 9, will be moderated by CNN’s Anderson Cooper and ABC News’ Martha Raddatz at Washington University in St. Louis; this debate will be a town-hall meeting style format that will also feature questions from the audience. The third debate, on October 19 at the University of Nevada-Las Vegas, will be moderated by “Fox News Sunday” host Chris Wallace. Visual Communications is now accepting applications for its prestigious Armed With a Camera Fellowship! In its 15th cycle, the Armed With a Camera (AWC) fellowship has helped over 120 emerging filmmakers to launch careers and give voice to their Asian Pacific American heritage and communities. This program offers six months of training, funding, mentorship, facilities and equipment and an elite world premiere venue – the 2017 Los Angeles Asian Pacific Film Festival! The AWC Fellowship will award up to ten fellows a cash stipend to complete a four to five-minute digital video. In addition, Fellows will attend an all-expenses paid animated filmmaking workshop to LAIKA Entertainment (KUBO AND THE TWO STRINGS, CORALINE, CORPSE BRIDE, PARANORMAN) in Portland, OR. AWC provides the springboard for emerging media makers for their career. Many alumni have gone on to produce feature films, documentaries and other media. Past fellows include Daniel Hsia (SHANGHAI CALLING), Eugene-Lee Yang (BUZZFEED MOTION PICTURES), Kristina Wong (WONG STREET JOURNAL), Evan Jackson Leong (LINSANITY), AYA TANIMURA (music videos), ERNESTO FORONDA (BETTER LUCK TOMORROW) and Erin Li (KEPLER X-47). Apply today. Eligible applicants must be of Asian Pacific descent and residents of Southern California. If accepted, Fellows must be able to attend mandatory meetings and workshops in Los Angeles. Women, Native Hawaiians & Pacific Islanders, South Asian, and Southeast Asian filmmakers (particularly animators) are highly encouraged to apply to the AWC Fellowship. You can find the application information here: vconline.org/awc. The AWC Fellowship application closes on October 7, 2016. East West Players (EWP), the nation’s longest-running professional theatre of color in the country and the largest producing organization of Asian American artistic work for the stage, announces Snehal Desai, as the organization’s fourth Artistic Director, following an extensive nationwide executive search conducted by the Arts Consulting Group. Outgoing Producing Artistic Director Tim Dang will work in an advisory capacity during a transitional period with Desai who assumes his new role starting July 1. As Artistic Director of East West Players, Desai will be charged with providing the artistic vision and strategic, financial and operational direction of one of the most prominent theaters of color in the country. Desai will assume artistic responsibilities immediately and select the 2017-2018 Season. Desai is currently East West Players’ Associate Artistic Director. His EWP directorial works include the world premiere productions of “A Nice Indian Boy,” and the “U.S. v. Bhagat Singh Thind,” as well as last year’s critically acclaimed production of “The Who’s Tommy.” He has directed plays at venues from The Old Globe in San Diego to Boom Arts in Portland, Oregon to the Old Vic in London, and worked at more than a dozen theaters in New York City. Desai has also produced the annual EWP Visionary Awards gala; oversaw play submissions as Literary Manager; administered the David Henry Hwang Writers Institute; administered the 2042: See Change National Playwriting Competition and the New Asian American Musicals initiative; managed artistic partnerships with local and regional theatres (including Pasadena Playhouse, La Jolla Playhouse, Oregon Shakespeare Festival, and A Noise Within); and served as EWP representative on the Asian Pacific American Media Coalition. Among various positions he has held, Desai served as Resident Director of Theater Emory; participated in the Lincoln Center Directors Lab; and was a literary fellow with London’s Royal Shakespeare Company. A Soros Fellow and the recipient of a Tanne Award, Desai was in the Inaugural Class of Theater Communications Group’s (TCG) “Spark” Leadership Program, was featured in American Theatre magazine’s “20 Theater Workers You Should Know”, and was the Inaugural Recipient of the Drama League’s Classical Directing Fellowship. He was recently featured in the Stage Directors and Choreographers (SDC) Journal and is a member of SDC. Snehal received his B.A. in Theater Studies and Political Science at Emory University and a M.F.A. in Directing from the Yale School of Drama. Mission Statement: As the nation’s premier Asian American theatre organization, East West Players produces artistic works and educational programs that foster dialogue exploring Asian Pacific experiences. Established in 1965, East West Players (EWP) has been hailed as the nation’s leading Asian American theater troupe for award-winning productions that blend Eastern and Western movement, costumes, language, and music. EWP has premiered more than 100 plays and musicals about the Asian Pacific American experience and has held more than 1,000 readings and workshops. EWP’s emphasis is on building bridges between East and West, and one measure of our success is an audience of 56% Asians and a remarkable 44% non-Asian attendance. East West Players was founded by nine Asian-American artists (Mako, Rae Creevey, Beulah Quo, Soon-Tek Oh, James Hong, Pat Li, June Kim, Guy Lee, and Yet Lock) seeking opportunities to take on roles beyond the stereotypical parts they were being offered in Hollywood. 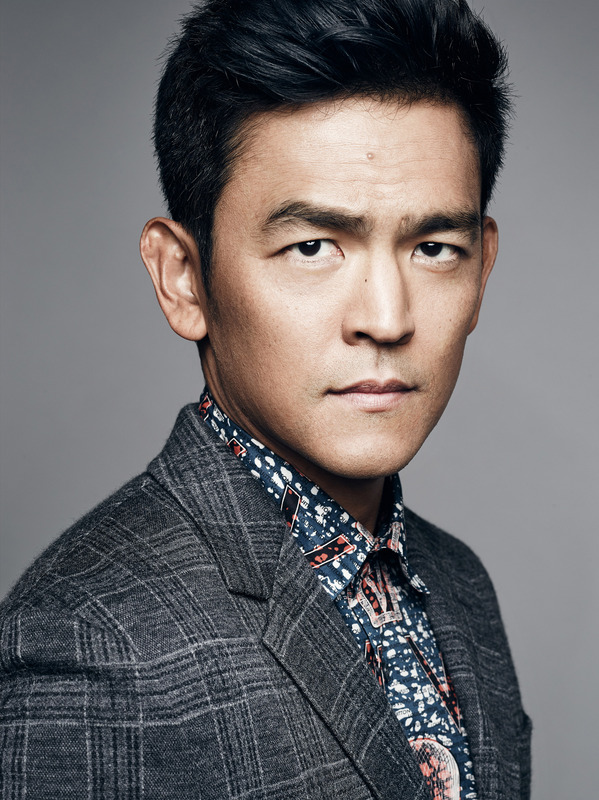 EWP continues to provide unique opportunities for Asian-American artists and is committed to advocating for more diverse representations of the Asian-American experience on TV and across all media. The Zuckerberg family wishes everyone Happy Lunary New Year in Chinese. Let’s see if little Max gets to go to a bilingual Chinese-English school and upstage mom and dad with mad Chinese language skills in the future.